As with last year, and they year before (etc…) no-one we voted for made the cut as the list, and the mainstream, continues it’s shift towards the less electronic. 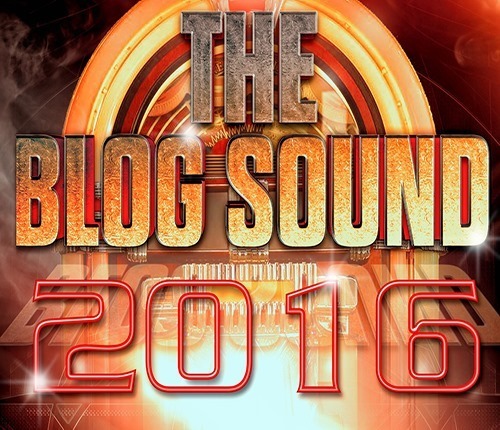 Most electronic blogs invited to take part were either too lazy , or too apathetic, to be involved int he poll this year (as most years). this is a massive shame, means electronic music isn’t properly represented in the poll and we feel kinda’ highlights why some blogs are in this game. Not for the love of music, or the desire to promote the music you love, but for the props and the free stuff and to feel self-important. It makes us sad for electronic music blogging. So the list isn’t really representative of our little corner of the music industry, but that’s no reason for music blogs not to take part, and it’s also no reason for you not to check out the artists listed below. You never know, you might find something you dig. Some of the most passionate music fans in the UK have voted on this list, so that’s something, right? 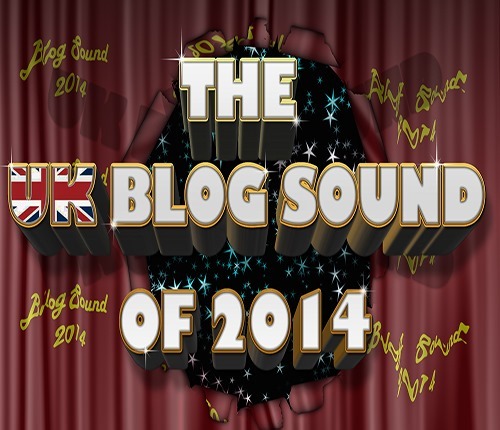 Anyhoo, here’s the long list, we’ll let you know our votes once the winner is announced on 5th January. Saturday 14th February In Between Time & Horseplay take over the Old Fire Station (awesome venue!) in Bristol for a night of multi-media clubbing madness as part of IBT15: Bristol International Festival. The Storm is a huge collaborative clubnight, blending boundary-pushing performance and DJs in a unique immersive art environment, featuring a world-first commission from international technology artists PLAYMODES. 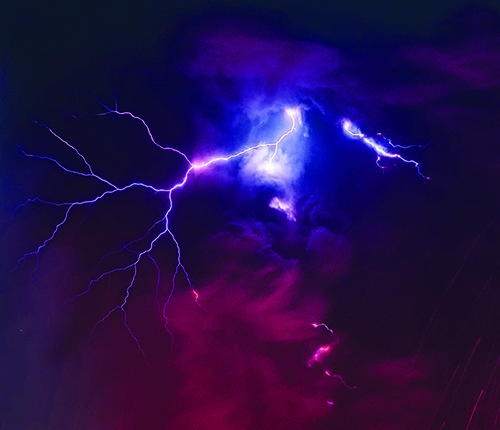 In The Storm Room audiences will be blown away by a multi-sensory light and sound installation, soundtracked by DJs Dirtytalk, Antoni Maiovvi and Horseplay. Broken beats from Hush and Duchess will keep you high and dry in The Sanctuary and you can stow away in The Shelter to see incredible performance from artists such as David Hoyle (famous for his late night channel 4 show in the 1990s) and new talent FK Alexander, Lily Johnson, Alfie Ordinary and Joe Evans. The Storm is a unique immersive art-party for those who carry hurricanes in their hearts, brought to you by In Between Time, Horseplay, Mayfest, Hush, The Island and a whole host of collaborators. Tickets can be picked up here or here. Friday night sees the return of Dreamwave superstars Futurecop! to London as the play a full live set at Surya on Pentonville Road. But that’s not all, in tow are electronic rumors’ crew members New Arcades, whose self titled début EP we released last month to critical acclaim. 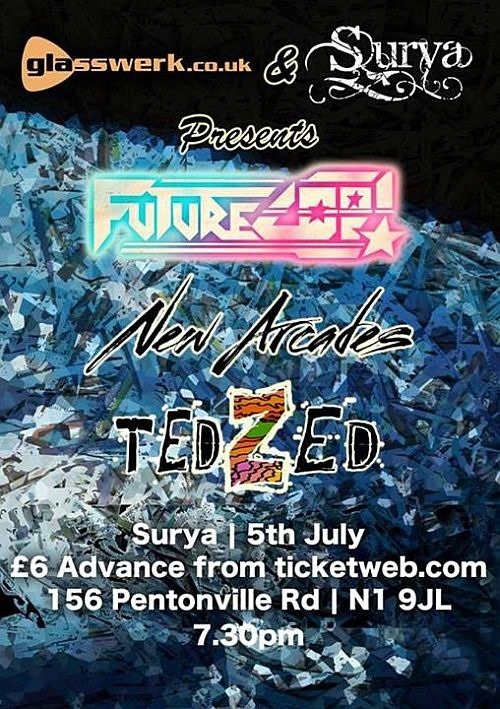 It’s sure to be a night packed with the finest ElectroPop, SynthWave and Nu-Disco, so if you’re in the area get you asses down to Surya, and don’t forget your dancing shoes. This weekend if you’re kicking about London town you could do a hell of a lot worst than mooching over to Shoreditch for the Found festival. 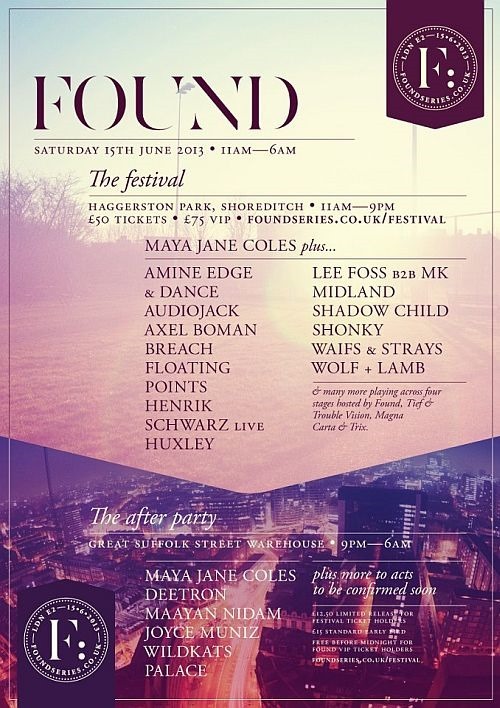 With a packed line-up that includes Ms. Maya Jane Coles, Todd Terry, Wolf + Lamb, Shadow Child, Floating Points and many, many more, it’s sure to be a full-on party. Looks like awesome weather for Saturday too. Check out more into and tickets here. 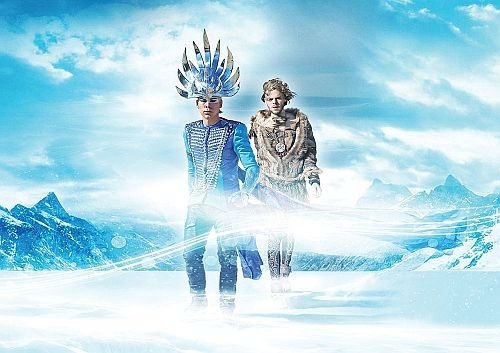 While we’re all sitting around twiddling our thumbs waiting for the highly anticipated (by us anyhow) sophomore album from Australian ElectroPop duo Empire Of the Sun, they’ve just announced something that will tide us over for a bit. Next Tuesday the first single from the record, Ice On The Dune, will be released. Titled Alive, the new single drops on Tuesday 16th ahead of the album who release date has also been announced. Ice On The Dune is due to hit stores on 14th June. We weren’t even sure there would be a second Empire Of The Sun Album, so all this news has made our morning. Really excited to hear what the duo have come up with.